The vinyl revival isn't just about owning a record player. 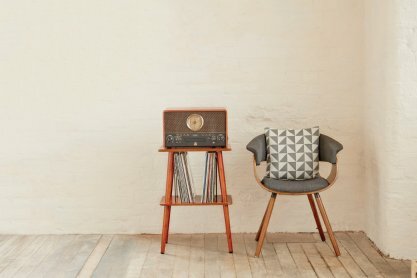 For a start, as well as your turntable you need records to play, you need to think about how to store your records and where to put your record player. You also need to look after your records and keep them in good condition. 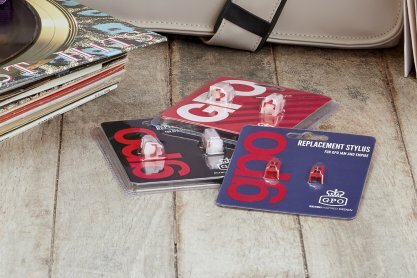 At GPO we create vinyl accessories / record player parts that help complete your retro experience and make it as easy as possible to enjoy playing your records. Vinyl cases are the best way to keep you records safe. Secure and easy to carry around, GPO's vinyl cases have corner protection and removable lids, so they're easy to use. You can choose from two different sizes, either for 12" for Lps, or 7" for 45s or vinyl singles. They are also available in a range of different colours so you can choose a vinyl case that suits your home interior and taste. 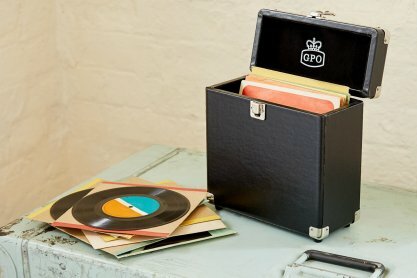 If you're looking for a stylish way to display your record player, and also safely stash your records, the GPO Canterbury is ideal. A wooden vinyl stand it provides a flat surface you you to store your turntable of choice. Underneath the stand is a shelf allowing you to store up to 60-70 vinyl records. 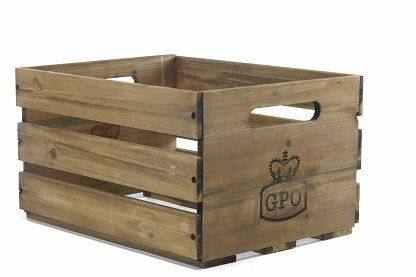 This large wooden crate can comfortably hold 100 vinyl albums and is the perfect choice for the vinyl lover who has a big collection. With its rustic feel it's stylish and bang on trend. It is ideal for either the home or a bar or venue that plays records or features turntables. 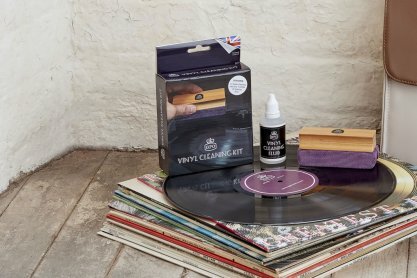 Vinyl Cleaning Kit. One of the key ways to keep you vinyl experience perfect for longer is to take care of your vinyl records. A vinyl cleaning kit works in two ways. Using the cleaning pad removes any dust and dirt from the vinyl grooves. They water based cleaning product then spreads evenly across the record to restore the album. If your turntable stylus becomes damaged or worn, a replacement stylusa> can be bought for the Stylus, Attache, Empire, Memphis, Jive and Jam record players. The replacement vinyl stylus is easily slotted into place once the old stylus is removed. It can reinvigorate and improve the vinyl listening experience. If you want to carry your records with you a record bag is the ideal vinyl accessory. Available in cream and brown the bag measures 35cm by 34 cm so can comfortably hold 20 vinyl albums. 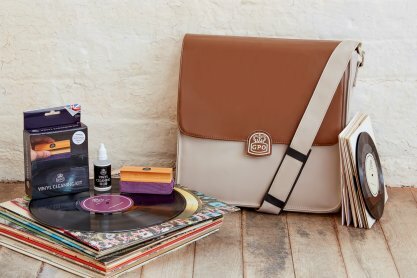 It has three pockets including a zipped compartment, so you can carry vinyl records along with anything else you need.